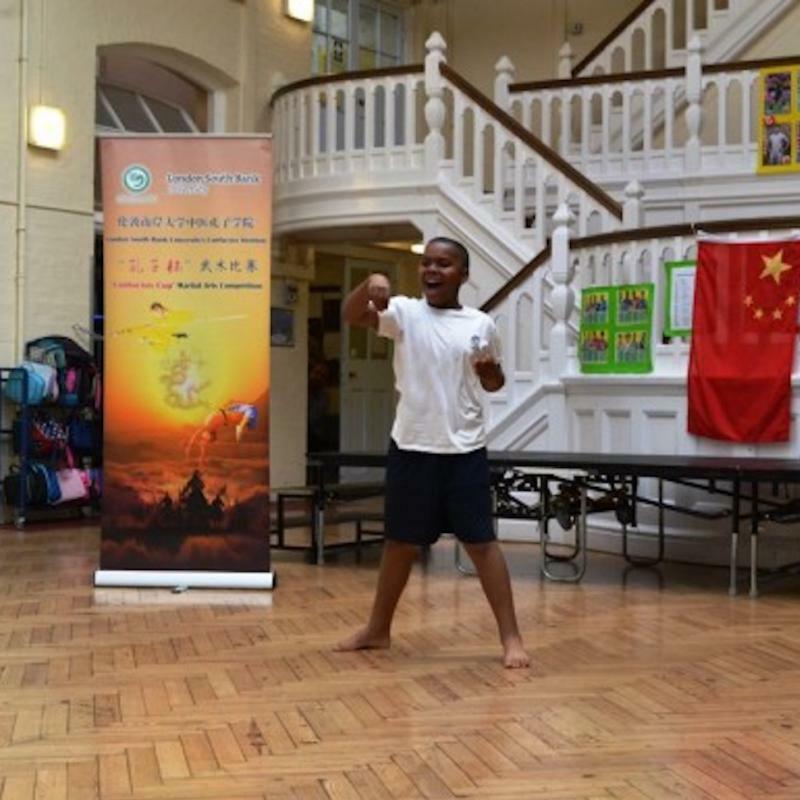 LSBU’s Confucius Institute held a grand ceremony for the establishment of “Chinese Young Pioneers Team” with the first six young pioneers inaugurated in the great hall of the embassy. 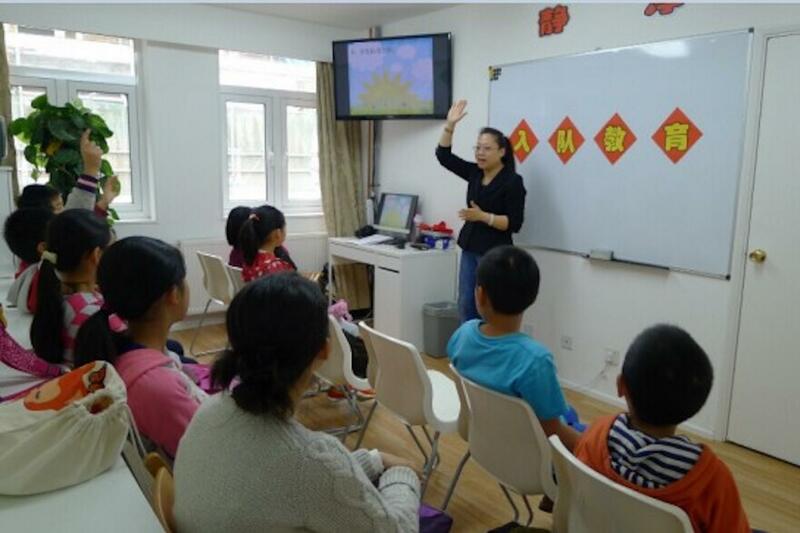 With the “Chinese Young Pioneers Team” establishing anniversary approaching, Miao Lu, the pioneers’ counselor for the Sunshine School, arranged Young Pioneers Team lessons according to the specific characteristics of the students in the Chinese Embassy, so as to introduce the history and related knowledge of the Chinese Young Pioneers Team, and inspire students’ aspiration and love for it. After the study, the students submitted their application to become young pioneers, and finally fulfilled their dream to join the glorious Chinese Young Pioneers Team. 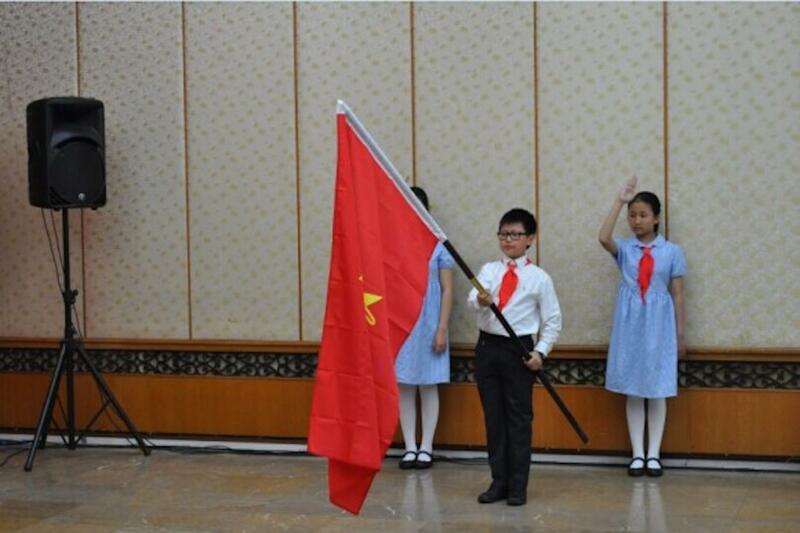 The Ceremony started with the vibrant Chinese Young Pioneers Team Song, while the Young Pioneers Team Chief Xiang Fangchen as well as the flag-bearersLi Danni and Chen Anyu escorted the team flag into the venue. 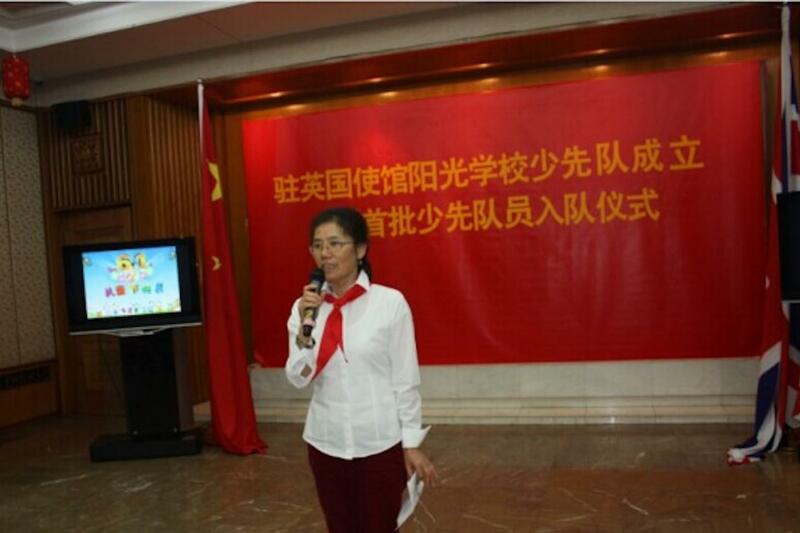 Subsequently, the Sunshine School Principal, Miss Hu Pinghua, announced the formal establishment of the Young Pioneers Team and delivered a speech for the event, encouraging the pupils to learn and remember the mission of young pioneers, and to have the motherland at heart wherever they might be. 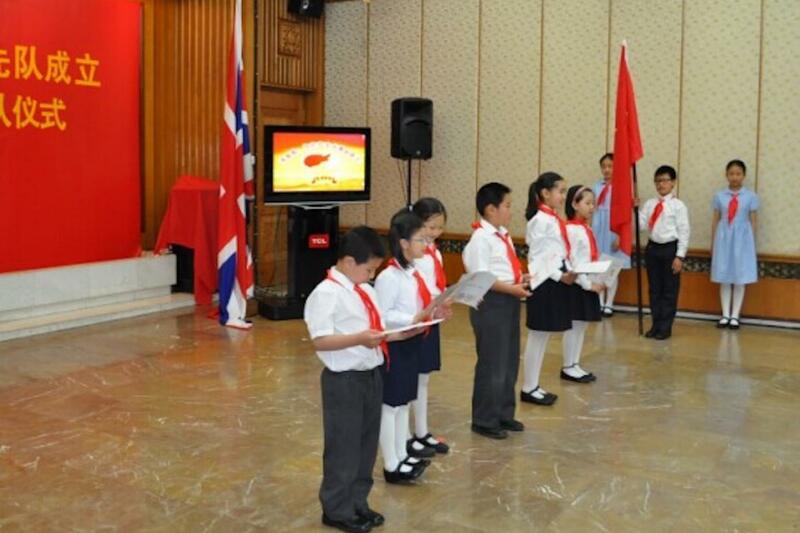 Liu Xiaoming, Chinese ambassador to Britain also attended the event and the young pioneers put on red scarves for Ambassador Liu Xiaoming, Principal Hu Pinghua, and Education Counselor Lu Zhi. Miao Lu, the pioneers’ counselor, announced the names of the newly inaugurated young pioneers; Principal Hu and the Dean, Mr Lu, put on a red scarf for every new pioneer and presented them with certificates, both of which represented the revolutionary tradition. The new pioneers made a solemn vow toward the red team flag under the leadership of the counselor. 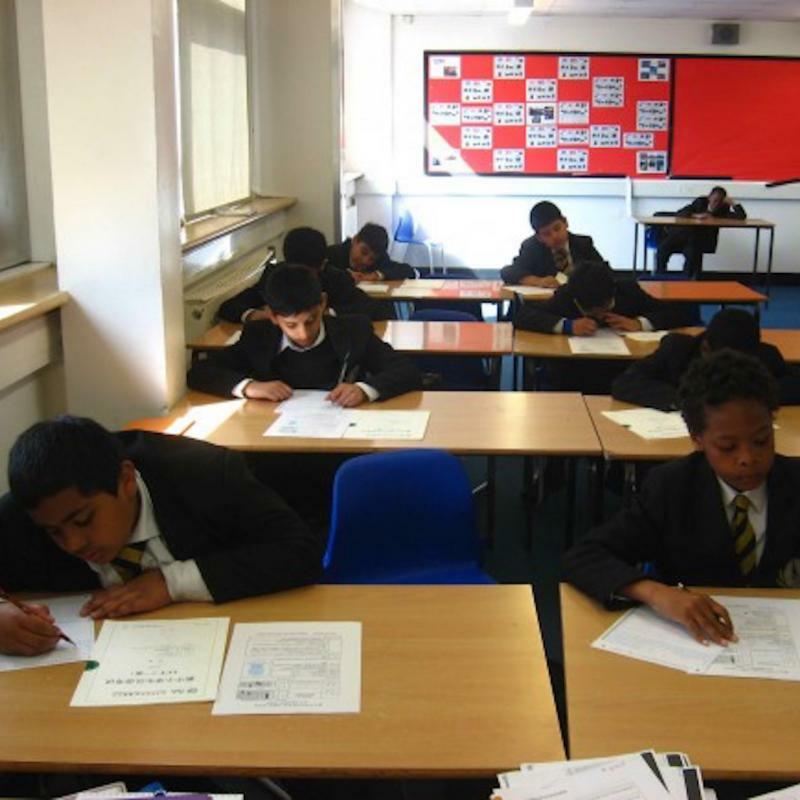 Listening to their clear vows, the teachers and parents present could not help but echoing with the young pioneers, while recalling the excitement and joy at the time when they joined the team. Li Zetong and Xu Feifei, respectively representing the old and new pioneers, each gave a brilliant speech with simple and sincere language to express their love for the Young Pioneers Team and the motherland. "Living abroad while having the motherland at heart" is what should be born in mind for the children of diplomats in the new era. As members of the Young Pioneers Team of the Sunshine School, they still have a long way to go and they will definitely prove their love for China step by step. 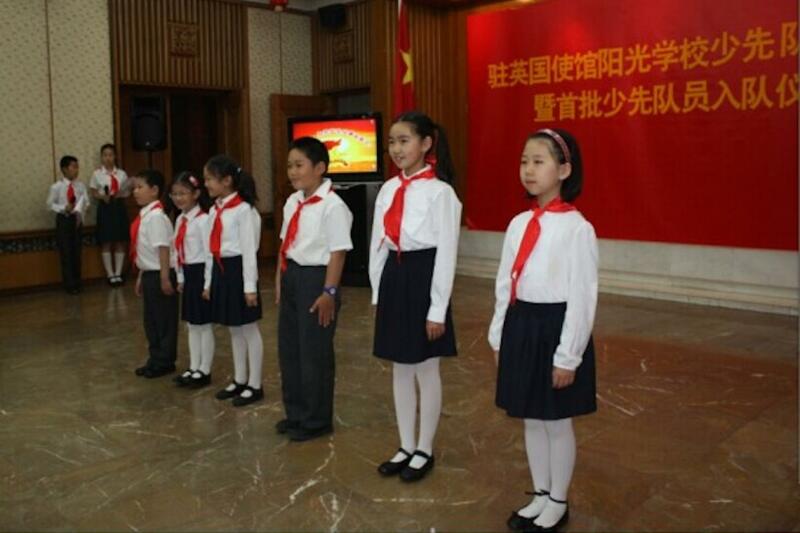 Ambassador Liu Xiaoming delivered a warm speech for the establishment of the Young Pioneers Team in the Sunshine School; he expressed his hope that the children should be prepared to become successors who "bear in mind the Chinese Dream, cherish lofty ideals, cultivate remarkable talents, have a sense of mission and responsibility, and possess strong physique". They should work hard to learn scientific and cultural knowledge, and present the pride of the Chinese people to foreign friends as “young Chinese folk ambassadors". When the Young Pioneers Team trumpet and team song were heard again, the solemn ceremony came to an end. What remained in the memory of everyone present was an unusual "Children's Day” in 2014.